Rod Marsh is one of the most well-respected wicket keepers to have played international cricket. He was part of the Australian team from 1970 to 1984, playing 96 Tests and scoring over 3,600 runs. During his 14-year international career, Rod Marsh took part in 355 dismissals, a world record at the time of his retirement. A combination of skill with the gloves, concentration and athleticism earned him the respect of his peers, commentators and crowds. A stocky yet powerfully built player, Rod Marsh’s incredible agility enabled him to launch into the air and collect catches and errant deliveries. His partnership with Dennis Lillee has the two forever linked with the legendary ‘caught Marsh, bowled Lillee’ occurring a record 95 times in Tests. In addition to his skills with the glove, Rod Marsh was also an excellent batsman, scoring three centuries, anchoring a stubborn lower-order batting card. 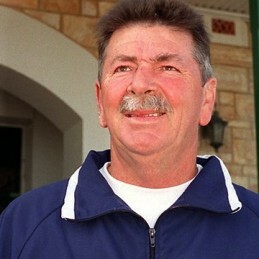 Following his retirement, Rod Marsh enjoyed a productive stint as the head of the Australian Cricket Academy in Adelaide before taking a Director position in the newly formed National Academy in 2002. The following year he was appointed as a selector for England, a move often attributed to the teams’ return to prominence in world cricket. Following the team’s 2005 Ashes triumph, Rod returned to Adelaide. No stranger to sporting and corporate speaking engagements, Rod Marsh has been an in-demand speaker across Australia and the United Kingdom. Rod’s wit, charm and endless stories from his year’s touring with the Australia team make him an engaging and entertaining addition to any event. Rod also ensures that his presentations appeal to non-sporting audiences. Following his retirement, Rod Marsh has worked in sales and promotions in the service and retail industries. He has also forged a career in the media as a regular part of the National Nine Network sports coverage.